A relatively young software brand, Thunderkick casino software provider came about in 2012. 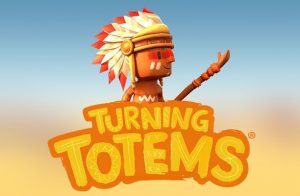 It was founded by a group of people who worked in the industry before and knew exactly where to invest their experience acquired in the field of creating captivating slots. The company offers a limited scope of games but their quality is beyond reproach. Thunderkick slots are adorned with creative additions and unique features that strike players as refreshing and impressive. 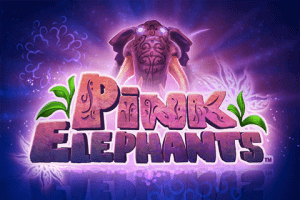 Any slot game made by Thunderkick is hip and modern, with otherworldly atmosphere and great payouts too. Thunderkick started catering to online casinos very early on into their production and had just 8 finished games when they signed their first partnership with a casino operator. Now the trendy developer supplies nearly a hundred sites. If you have the chance to play at a Thunderkick casino, take it. Let’s have a closer look at the Thunderkick casino slots and discover some of the best Thunderkick casinos online. Check this top list of the best Thunderkick casinos online and new Thunderkick casino bonuses. Thunderkick’s rise to fame did not come undeserved. The company worked hard on developing worthy video slots with engaging themes and features that haven’t been seen before. New titles get added fairly regularly, but the team doesn’t put the focus on launching slots like a factory and risking they all start resembling one another. 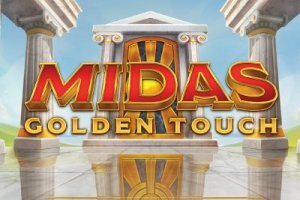 Instead, the studio takes time and releases meaningful, authentic slot machines that intrigue operators and casino goers aside from offering high returns and super fun themes. Several years since its inception, Thunderkick casino software provider still maintains its headquarters in Sweden’s capital, also having installed offices in Malta. Their software is licensed by the governments of Malta and the UK, so everything is done by the book and players need not worry about fairness when it comes to Thunderkick casinos. The games are slick, clean and often ground-breaking; the regular fruit machine is not how Thunderkick imagines a modern slot, and all the patterns and moulds you may have seen along the way if you play slots fairly regularly – they are rejected, reconstructed and turned into unexpected game experiences where slot mechanics graphics and sound work together in harmony. Want to make thunder with Thunderkick? Well, you have 20 games to choose from. They are all developed in-house, designed to please desktop and mobile players. 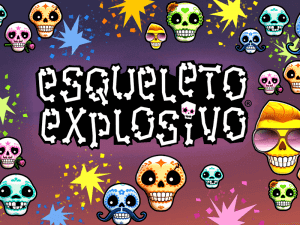 One of the first slots ever released by the Swedish casino supplier and one of their most popular titles up to date is a 17-line slot called Esqueleto Explosivo. Graphically superb, Esqueleto Explosivo tells a story about Enrico Mortis and his mariachi band The Boners who are out celebrating the Mexican Day of the Dead in a riveting slot with Dropping symbols, Mucho Multipliers and Explosivo Wild feature. The next game to win the hearts and souls of the audience was Birds on a Wire, another 5-reel, 17-line slots with a fun story of its own. Birds on a Wire gives the players exactly what is described in the title, colourful birds standing on electrical wires, having no choice but to form high-voltage winning combos. This Thunderkick game has an innocent cartoon style and plenty of engaging features such as High Voltage Multipliers, Dropping symbols, Infinity Spin, and Free Spins. 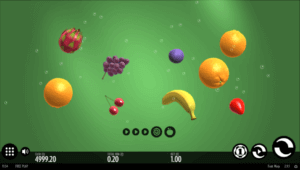 If fruit machines are your things and you just can’t go along without them, try out Fruit Warp slot – it is a fruit machine like you’ve never experienced before. This Thunderkick game is barely a slot, actually, as it dispenses with regular reels and paying lines and introduces nine pieces of fruit that warp back and forth through a green liquid. 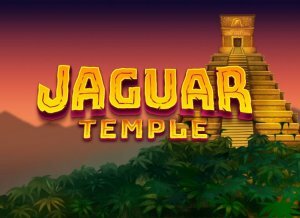 The graphics are tridimensional and brilliant, and the features include Portal Respin, Dynamic Multiplier and Extra Lives. 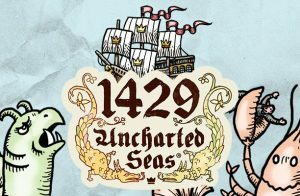 The highest paying Thunderkick slot is 1429 Uncharted Seas, an adventure-themed Thunderkick game which deals with exploring unknown seas the way it was done in the past. It involves sea monsters, maps, compasses, 25 pay lines, Expanding Wilds, a Bonus game with free spins and an impressive design. One of the most recent games Thunderkick game developer released is Full Moon Romance. This one follows a pair of sweethearts, Jack and Rosie, as they transform from innocent teenagers into hairy werewolves. It’s a romance with a twist, and it features a rockabilly style, a Clone Feature and a Bonus Game with free spins. Make sure you don’t miss out on other Thunderkick casino games like Zoom, Arcader and Toki Time, as they certainly deserve a mention.